LOCAL GKI businesses upset with the decision to remove Fisherman's Beach sand dunes want to know why dredging wasn't considered as an option to fill the Putney Beach sand bags. Three state departments involved in granting approvals and permits to Livingstone Shire Council for the sand bagging strategy, confirmed they had not received an application to dredge. An LSC spokesperson said preparation of the development application for the tidal works was undertaken in direct consultation with the State Government and concerns regarding the potential impacts on the dune system caused by removing sand from Fisherman's Beach should be directed to the Department of Environment and Science. 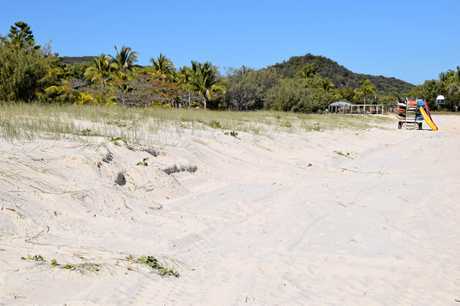 He said any approval to dredge sand from the ocean would need an approval from the state government and federal agencies and while dredging was an option, the council and "concurrence agencies” were obliged to assess the development application. Great Keppel Island Sandbag Digging: Regular visitor of Great Keppel Island, Kiha Bonney took this video of an excavator digging up sand Fisherman's Beach for sandbagging used to save the Hideaway on Putney Beach. Video Kiha Bonney. He confirmed the permit allowed up to 3000m3 of sand to be to be removed each year for maintenance of the revetment wall and set specific conditions to minimise impacts. 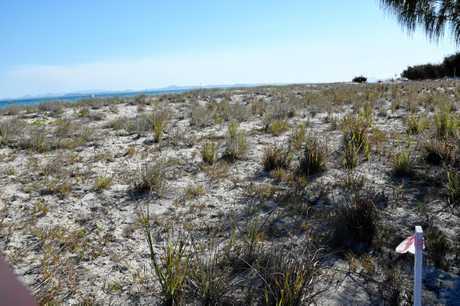 They included monitoring for fauna habitat and relocation of animals if required, salvage of vegetation and stockpiling topsoil for revegetation. "The State Government determined the location (for the borrow pit), so it would need to answer why it did not encourage dredging,” they said. A GBRMPA spokesperson said all permit applications go through a rigorous assessment process to look at impacts on the environment, social, economic, or heritage values. As part of the application, LSC was required to provide engineering drawings to the Department of Environment and Science to demonstrate the program would not have a significant environmental impact. 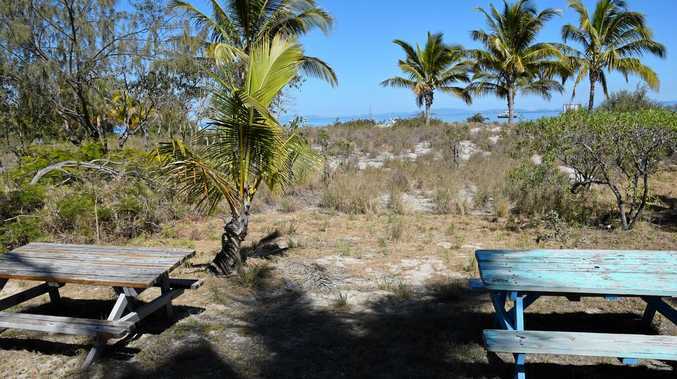 A council spokesman said during the design phase and before any development application was lodged, the State Government advised where it would be acceptable to excavate sand. "This advice was co-ordinated through the Department of State Development, Infrastructure and Planning (DSDMIP), which is also responsible for administering the State Assessment and Referral Agency process (SARA),” they said. A department spokesperson said SARA was involved in assessing the application with respect to impacts on coastal processes and recommended a condition for the sand extraction to cease in April 2020, to ensure the works minimise impacts to Fisherman's Beach.